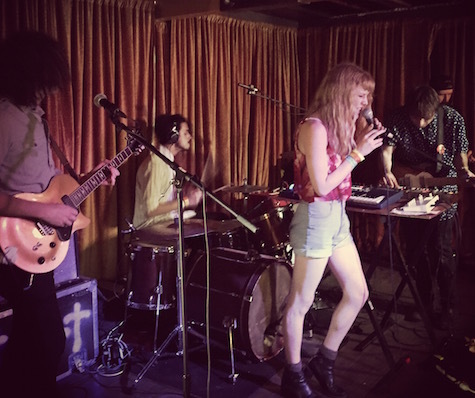 Icky Blossoms at Stay Gold, March 19, 2015. They band opens for Reptar tonight at Slowdown. A pair of hot shows go head-to-head tonight. At Sweatshop Gallery it’s the abrasive, angular punk of Pile. The Boston band recorded its most recent full length, You’re Better Than This (2015, Exploding in Sound Records) at ARC Studios right here in Omaha with producer Ben Brodin. There are moments on the record, like the triumphant “Mr. Fish,” that dip and dive like a drunken barn swallow. Striking stuff. Opening is a rare performance by Omaha band Noah’s Ark Was a Spaceship and the sloshy slacker grind of Stomach (Check out their bitchin’ DEMOS — after hearing these, I was intrigued…). $8, 9 p.m. Meanwhile, cross town at The Slowdown, it’s the return of Icky Blossoms. Last time they played they sold out Slowdown Jr., which is why (I guess) this time they’re playing in the big room. Either that or the fact that Reptar is headlining this show. Coaxed opens. $12, 9 p.m.
It’s nice outside. Get out there and enjoy some live music!